Retinol remains the biggest anti-aging player on the block when it comes to diminishing fine lines. 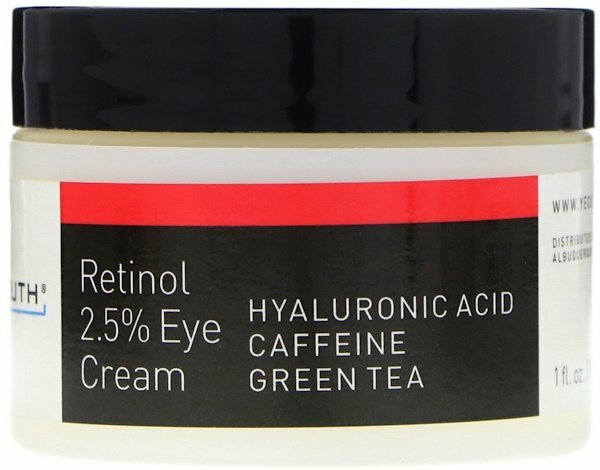 Yeouth retinol 2.5% Eye Cream hydrates, smoothes, and tones the delicate skin of your eye, providing a youthful appearance. Retinol furnishes anti-aging benefits such as tightened pores and smoother, more radiant skin. It is truly a multi-tasking ingredients, delivering powerful skin improvements. Yeouth Retinol 2.5% Eye Cream is formulated with caffeine, hyaluronic acid, ginseng, and green tea to soothe, protect, and enhance firmness. Allows increased interaction between skin cells to promote healthy, youthful cell behavior. Helps protect skin from damaging free radicals, encouraging the healing of cells, fighting sings of skin aging like wrinkles, age spots, and sun damage. Infuses the skin with needed hydration to help reduce the appearance of crow's feet, puffiness, and dark circles. Has anti-inflammatory ingredients that help reduce puffiness associated with dark circles in the eye area. Reduces skin hyperpigmentation and boosts skin-firming collagen, encouraging skin healing and regeneration. Use at night before bedtime. Start with a clean face. Carefully dab a pea-sized amount of Yeouth Retinol 2.5% Eye Cream around the eye area. It is safe to use above and below the eyes. Allow to absorb into skin. Follow with a Yeouth Moisturizer. Start by using the product every other night to determine skin sensitivity. If skin is not irritated after one week, use every night. If skin becomes irritated, discontinue use. Avoid direct contact with eyes. Apply sunscreen during the day as retinol makes skin more sensitive to UV rays. 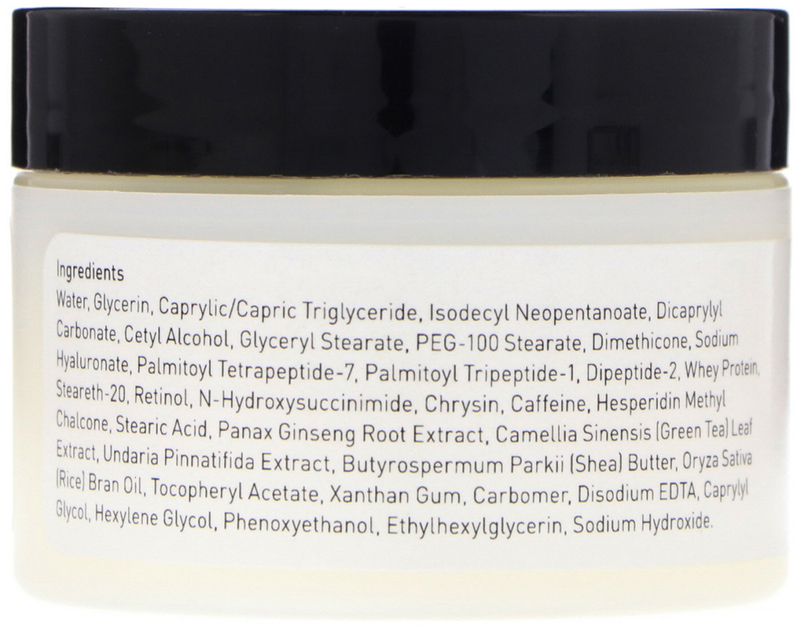 Water, glycerin, caprylic/capric triglyceride, isodecyl neopentanoate, dicaprylyl carbonate, cetyl alcohol, glyceryl stearate, peg-100 stearate, dimethicone, sodium hyaluronate, palmitoyl tetrapeptide-7, palmitoyl tripeptide-1, dipeptide-2, whey protein, steareth-20, retinol, n-hydroxysuccinimide, chrysin, caffeine, hesperidin methyl chalcone, stearic acid, panax ginseng root extract, camellia sinensis (green tea) leaf extract, undaria pinnatifida extract, butyrospermum parkii (shea) butter, oryza sativa (rice) bran oil, tocopheryl acetate, xanthan gum, carbomer, disodium edta, caprylyl glycol, hexylene glycol, phenoxyethanol, ethylhexylglycerin, sodium hydroxide.